Which stadium bears the name of the man who invented a method for machine guns to fire through revolving propellers in WW1 fighter planes? Which chain-smoker won the European footballer of the year title three times? Which sporting trophy is called the "ugliest salad bowl in the world"? In which sport were the 4 Musketeers champions? Who was the first man to swim 100m in less than 1 min.? Sir Arthur Conan Doyle, best known for his Sherlock Holmes Books, was the first keeper for which Premier League club? Name the most successful GERMAN-BORN tennis player ever? Jochen Rindt was formula one world champion in October 1970. Why was this so unusual? What was the only country to host a summer Olympics and not win a single gold medal? What was the first sporting event in the world to be televised live? 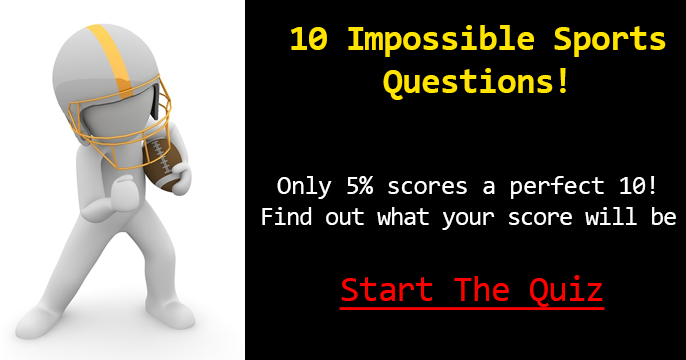 Who beats this tough sports quiz? 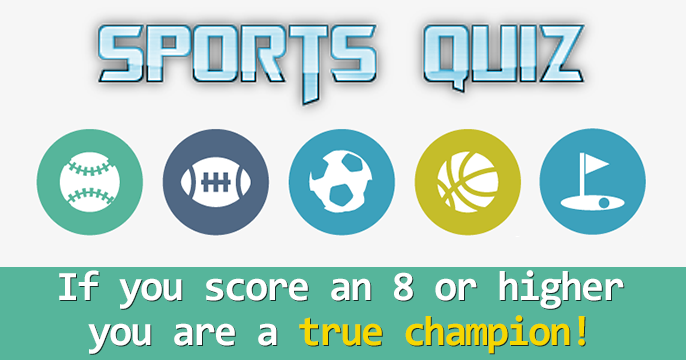 Score a 6/10 or better to proof that you’re a sports lover.